SPIDER-MAN 4 Villains & Actors Revealed!? Movieline has some interesting SPIDER-MAN 4 casting rumors; they say the following has been confirmed by "sources close to the film". Their scoops illuminate who Anne Hathaway could be playing in the movie, and reveals how John Malkovich might also enter the mix. As for Hathaway? She'd play Felicia Hardy, sort of. unlike in the comic books, this Felicia Hardy doesn’t transform into the Black Cat. Instead, Raimi’s Felicia will become a brand-new superpowered figure called the Vulturess. we hear that the suits simply can’t bring themselves to sign off on such an odd-looking enemy — instead, they’d rather hew closer to villains with a human face. ...reveals the site HERE. 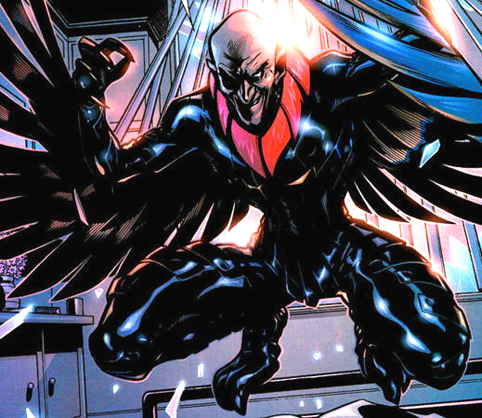 I'm going out on a limb here, but I'll bet Vulture and Vultress are somehow related.